Vote for Melbourne in the World Travel Awards. 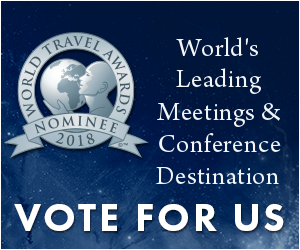 Following on from Melbourne being voted &apos;Australasia&apos;s Leading Meetings and Conference Destination 2018&apos; in the World Travel Awards, Melbourne is now nominated as the &apos;World&apos;s Leading Meetings & Conference Destination 2018&apos;. Please help us win the next stage of these awards and vote now http://bit.ly/WorldTA18. Voting closes 24th October 2018.